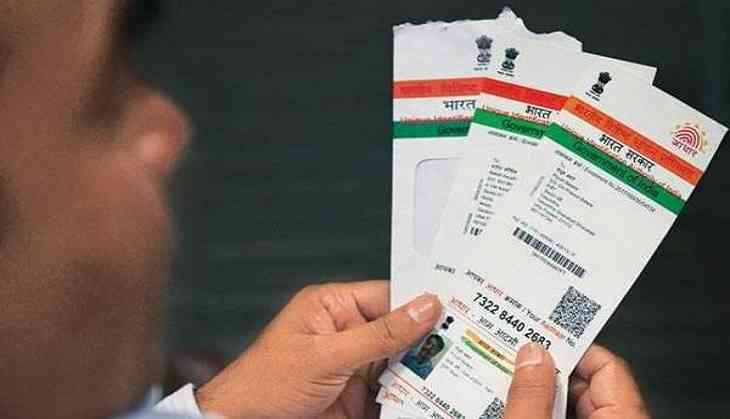 The Supreme Court's five-judge Constitution bench will hear a case in connection with mandatory linking of Aadhaar with bank accounts and mobile phone numbers tomorrow. Lawyer Shyam Divan, appearing for the petitioner, sought the apex court's intervention for an urgent hearing seeking interim relief in the Aadhaar case. On Wednesday, Chief Justice of India (CJI) Justice Dipak Misra, after hearing the mentioning in the Aadhaar case, said, the apex court's five-judge Constitution bench would hear the matter tomorrow at 2 pm. Earlier on October 30, the apex court referred all the Aadhaar related cases to a five-judge Constitution bench to be formed by the end of November. Till the time the court sets up the Constitution bench and passes orders, the government can continue to use Aadhaar for its various programmes.